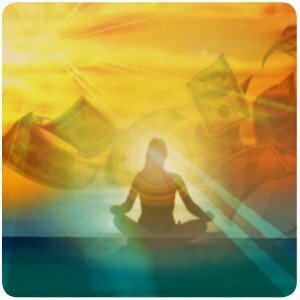 Meditation for WEALTH and Abundance – A Powerful Money Meditation Technique! You’ve heard about the mental and health benefits of meditation, but do you know that there’re people who do meditation for wealth and abundance? 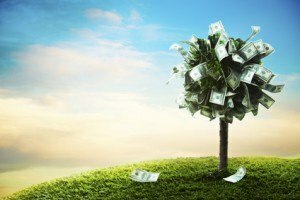 Well, please keep reading and I will show you a powerful money meditation technique that I recently learnt below. Find a quiet place and sit comfortably. Do not slouch – make sure your spine is upright. Close your eyes completely or half-way. Let your face and whole body relax gently. Now begin by focusing on your breath. Breathe in slowly through your nose and then breathe out. Do not worry if it feels shallow at first. With each passing breath, you notice your breathing getting longer and longer – stretching out bit by bit. A deeper inhale, a longer exhale. As you inhale, focus on the words I AM. As you exhale, focus on the word THAT. Breathe in I AM, relax slowly into THAT. Now allow THAT to change. See it shift subtly into something else. An intention you want to set for the day. Patience, Joy, Love, Health, WEALTH, Abundance, Financial FREEDOM. Stay in the meditation for as long as you feel is necessary. When you feel you’ve set your intention, spare a minute to relax and slowly let your senses take in your surroundings once more, then open your eyes and end the meditation. 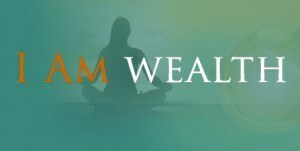 Attracting Wealth INDIRECTLY through Meditation! What I mean by the above heading is that you could use meditation to clear your mind and train your attention, hence making your visualization more effective. Let me elaborate on that. The process of visualization has been taught in many books, and by many great teachers throughout history. It involves the creation of clear and detailed images in your mind of already HAVING what you want. This way you generate POWERFUL FEELINGS of having it NOW, and that is the thing that will cause your desire to MANIFEST in your life. The problem for so many people is when they close their eyes to visualize their minds just started wandering everywhere. It wasn’t until I read a few self-help books that I realized meditation is a great way to clear my mind and sharpen my concentration. 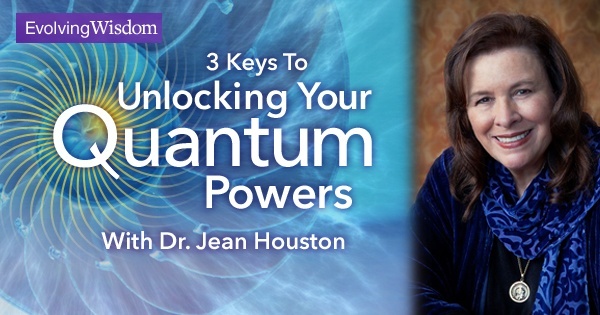 Do this regularly and you may find yourself manifesting your desires with lightning speed. Pretty much ALL self-help teachers meditate daily. Self-help books will tell you that the negative conditions in your life are the result of past negative thoughts. Since meditation clears the mind thereby allowing us control over our thoughts, it is a great way to practice “inner hygiene”, in which one works to “cleanse thoughts and reactions, practicing new habits and new ways of being”. Else what you wish to manifest is “compromised by the nasties of unhappy habits that bring their dirt and smog to your intention”. I do not know the scientific explanation for this, but regular and advanced meditation also leads to heightened imagination and intuitive insight, which can only aid you in your visualization and manifestation. Advanced meditation connects you with the Infinite/Universal Mind, from which all answers, ideas and inspirations are SOURCED. If you are really interested in meditation but do not have the time to do it yourself, there is an awesome audio meditation program that actually “meditates for you”. Check it out here. Well, that is all from me today. If you find this useful do share it with others, and if you have any questions or comments in regards to this topic do let me know in the comment box below and I will get back to you as soon as possible. Thanks for reading! 10 Responses to Meditation for WEALTH and Abundance – A Powerful Money Meditation Technique! I do find it helpful to meditate when I am just feeling irritated/annoyed at certain stuff. Makes me feel much more at peace. However, it isn’t easy for me as there are frequently loud noises in my area. But still thanks for sharing. You’re welcomed. Do try to find a way to meditate daily. It (Meditation) is really transformational. I have been meditating every day for about a year now and I have had awesome results. Thanks, Lawrence. Yeah, do visit this site often!!! Actually, the Zen12 meditation audios don’t require you to focus on sounds. You can give it a try, especially since the first level of audios are free. what a great concept! I love the idea of inner hygiene! It is so important to check our thoughts, feelings and what we truly are feeling in our body. And sometimes we need to be silent to see what comes up. Something I am now able to do. But was so difficult for me for years. I love the idea of guided meditation. Especially when one is just starting. To change and guide your mindset into a different path. It’s great that you are a successful and experienced meditator. Meditation has such incredible benefits. If you know someone who is struggling with meditation though, you can tell them to follow the link above and try out the free Zen12 meditation audios (level 1). Meditation is something I know is good for me but I just don’t have the discipline yet to do it consistently. I will give this one a try and I will get more serious about my meditation consistency. You’re welcome Marko. Do you mean you will try the direct meditation or Zen12? If it is the Zen12 audios, then it only requires 12 minutes of your time each day – you will find it easy to ‘meditate’ consistently.